Mining in southern Africa is richly endowed with diverse reserves of the world’s key mineral reserves: gold, coal, diamonds, PGM, copper and uranium. Known as the birthplace of Africa’s mining development, the region plays host to nearly 700 mining projects and top mining companies in South Africa – creating business opportunities for EPCMs and mining companies looking to target business in southern African mining. Targeting business in southern Africa’s mining industry requires up-to-date, accurate mining intelligence. Africa Mining IQ is Africa's largest mining intelligence database and provides detailed, actionable mining intelligence for over 664 mining projects in this mineral-wealthy region. 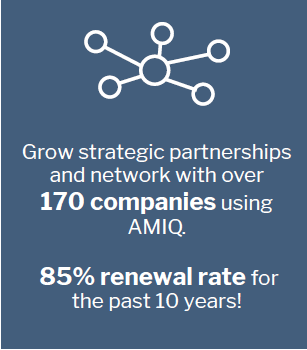 Target southern Africa’s mining hotspots with AMIQ! 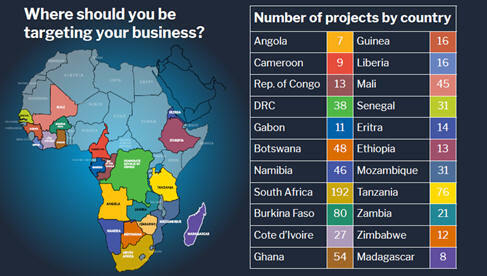 There are currently 664 mining projects in southern Africa listed on Africa Mining IQ. 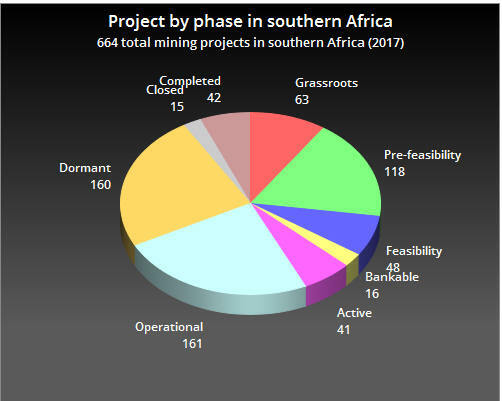 These projects include the following operational mining projects: 135 mining projects in South Africa, 13 mining projects in Namibia, 10 mining projects in Botswana and 3 mining projects in Lesotho. These operational mining projects are a player for growing your business in the industry. A subscription to our database assists you in targeting your business in the region’s key growth hotspots! Find out more about the Africa Mining IQ advantage. Contact Africa Mining IQ today on +27 11 830 2132 to expand your business within the southern African mining sector! As part of our offering to clients, Africa Mining IQ maintains an up-to-date and detailed contact sheet for all listed mining projects in southern Africa! 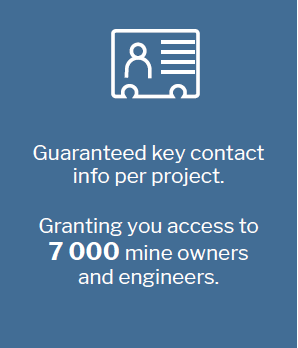 We’ve got the phone numbers and email addresses of owners, project engineers and project suppliers for 1 850 African mining projects, enabling strong mining business opportunities in South Africa and in Africa. Click here to view an example of an AMIQ contact sheet! Our database also contains key contact information and project update and analysis for leading mining companies in Gauteng, including: Anglo American & AngloGold Ashanti, African Rainbow Minerals, BHP Billiton Limited, Gold Fields, Harmony Gold, Impala Platinum, Rio Tinto and Xstrata PLC. Stay up to date with southern Africa’s mining landscape with a subscription to Africa Mining IQ! Africa Mining IQ is Africa’s largest online database for mining intelligence, granting you exclusive access to the biggest mining companies and mining projects in Africa. The database not only contains detailed information on over 1 850 African mining projects but also provides researched and verified monthly reports on mineral, regional and project phase growth that spans the entire continent. Read more about the Africa Mining IQ advantage! Send us an enquiry here or call us on +27 11 830 2132 to discuss your specific requirements.